VANCOUVER — Nathan Beaulieu wants to play for the Buffalo Sabres. If Beaulieu can’t break into the lineup, Beaulieu would prefer to go elsewhere. Following a report that he requested a trade, Beaulieu, a 26-year-old defenseman, told reporters Thursday afternoon in Vancouver that he holds no ill feelings toward the Sabres or his teammates. However, Beaulieu believes his current role is detrimental to his development. He has played only three of the past 14 games, and coach Phil Housley said it’s unlikely Beaulieu will replace Lawrence Pilut in the lineup Friday night against the Canucks at Rogers Arena. Beaulieu is one of eight healthy defensemen on the Sabres’ roster and has been passed by Pilut, a 23-year-old whom the organization signed to an entry-level contract in May. A first-round draft pick of Montreal in 2011, Beaulieu has been in and out of the lineup for much of the season, partly because of an upper-body injury. He has three goals among seven points while averaging 14 minutes, 46 seconds over 26 games. Following a 5-3 loss to Tampa Bay last Saturday, Beaulieu was inserted back into the lineup Monday in Edmonton, only to be partly responsible for the Oilers’ third first-period goal in a 7-2 loss. Though Marco Scandella also struggled in Edmonton, Beaulieu joined Matt Hunwick as a healthy scratch in Calgary. Shortly before puck drop, Renaud Lavoie of TVA Sports reported Beaulieu had requested a trade from Buffalo. 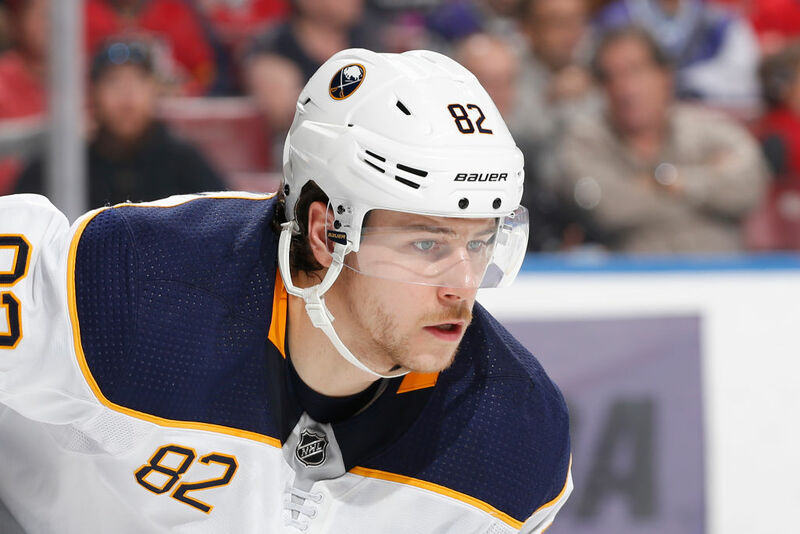 Beaulieu, who practiced with the team Thursday after not participating in warmups Wednesday night, is a restricted free agent at season’s end, and the Sabres are expected to have nine healthy defensemen when Casey Nelson returns from an upper-body injury. Buffalo could also wish to get a closer look at Hunwick, who has been a healthy scratch for 12 straight games and is under contract through next season at a $2.25 annual cap hit. He has played in only two games this season because of injury. There’s no question Beaulieu would draw interest from around the league. He is a quick, puck-moving defenseman who can also play a physical game. However, the Sabres won’t be quick to part with him. They have struggled with defensive depth in the past, and Housley is not afraid to change his lineup following a win or a loss. Beaulieu, who was acquired from Montreal in June 2017, has 76 points over seven NHL seasons.